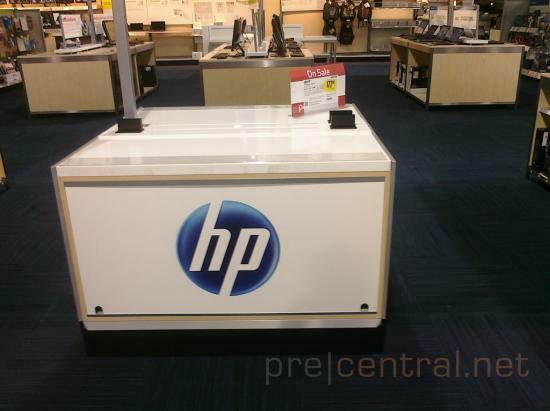 Everybody seems to be getting display materials for the HP TouchPad, even though we’re still lacking an official release date and pricing for the webOS tablet. A few weeks ago we broke that the 32GB Wi-Fi TouchPad was priced at $599.00 at Wal-Mart (at least in their distribution system), and our friends at webOSroundup got a photo of a pricetag at the retail level confirming that price. Additionally, they received a look at the display layout for the TouchPad at Wal-Mart, which as with Best Buy, isn’t going to be lumped in with all the other generic Android tablets. It seems HP’s taking display space very seriously for the TouchPad and has gone out of their way to secure large swaths of shelf space for some pretty big displays. Even if they have just two or three TouchPads on display, the big white displays with all that negative space will attract plenty of shopper attention. Also going to attract attention is an HP product we think is deserving of more: the HP Veer. To call the Veer’s launch “soft” is an insult to down pillows, but things have been ramping up with regards to advertising. 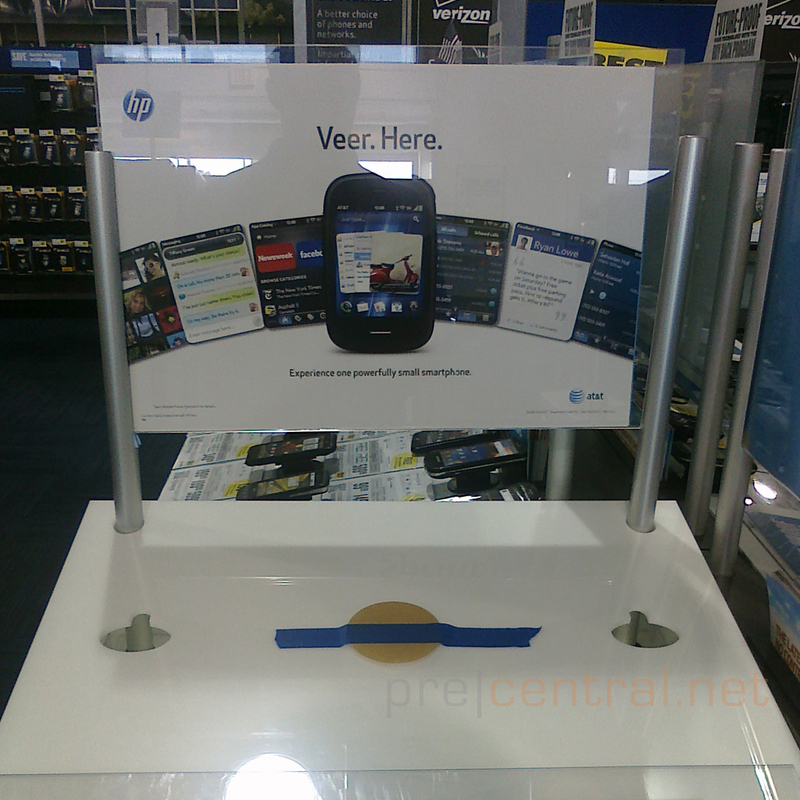 A new “end cap” display at a Best Buy store reveals that even the Veer is getting some lovin’. The “end cap” is a display piece that goes on the end of a row of shelves, in essence capping it off with more display space (hence the name). 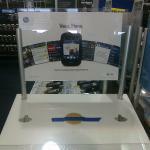 In the Best Buy Mobile areas, the end caps are set up facing out into the store space, with several facing right into where customers first step into the store. The Veer getting this space is kind of a big deal, and we were stoked to hear that the display is meant to hold real live phones, not the dummy devices that haunted so many previous webOS displays. Check out photos of it all after the break. Source: webOSroundup; Thanks to anonymous for the Best Buy pics!